The Asian Development Bank (ADB) will support the development of capital markets in Sri Lanka and even consider support for an International Financial Centre (IFC) in Colombo as the Government moves ahead on fiscal reforms, top officials have said. 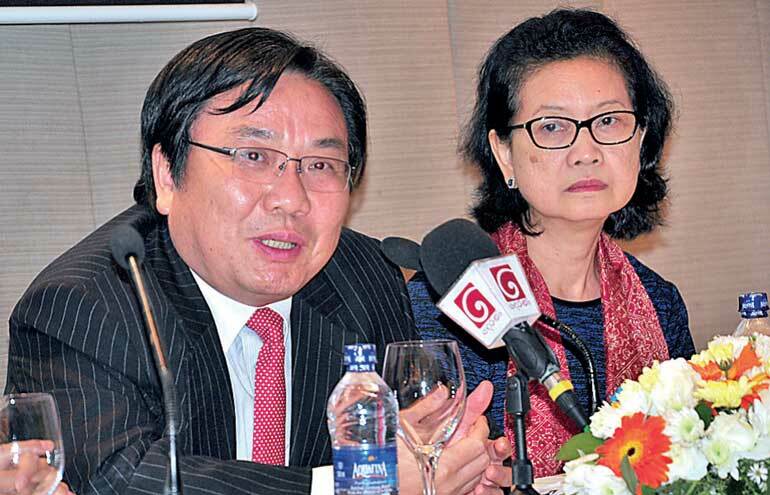 ADB Vice President (Operations 1) Wencai Zhang told reporters during a three-day tour to Sri Lanka, which wrapped up over the weekend, that assistance would be extended to develop capital markets. According to details on the ADB website, the total Capital Market Development program will cost $ 250 million with another $ 750,000 from the Technical Assistance Special Fund. “The Government’s public finance management reform initiative will help maintain macroeconomic stability, which is important to the country. The country can achieve a higher growth trajectory by boosting private investments, enhancing connectivity and deepening structure reforms, including capital market reforms,” he added. ADB Country Director to Sri Lanka Sri Widowati acknowledged that capital market development was one of the areas where the Government has asked the ADB for assistance but the program was still being fine-tuned. It will include ADB support to improve regulatory oversight and electronic systems, capital market instruments and institutions and the debt market. She also confirmed that the Government has requested assistance to establish an IFC in Colombo but insisted detailed talks had not yet begun. The Government announced plans to establish the financial centre last month and outlined plans to draw up new regulations covering banking and financial transactions, company law, recruitment and employment rules, arbitration laws and all special regulations and laws needed. The Sri Lankan Government hopes to partner with well-known law firm Baker & McKenzie to set up the IFC in Colombo. Headquartered in Chicago, Baker and McKenzie has been ranked the largest international law firm in the world. The ambitious plan targets earning 10% of GDP and creating 15,000 jobs by 2021. The development institution will also step up funding for key infrastructure and social empowerment schemes during the next four-year country development plan currently being negotiated. While projects have not yet been finalised some of the areas under consideration include support for expressways, ports, railways, urban water and transport, renewable energy and Government capacity development. The Government has also requested loan assistance for two specific projects under the megapolis venture; namely an elevated port access road and improvement of the existing railway between Panadura and Veyangoda. “We are looking forward to continued engagement with the Sri Lankan Government. During several discussions with top Government officials including the Finance Minister earlier this year, the Government has expressed interest in extending their relations with the ADB and we are certainly willing to do so,” he said. The next country program will be in effect from 2017-2021 and disburse a projected $ 2 billion or more for various projects yet to be finalised between the two parties. In 2015 the ADB provided $ 600 m, which is expected to increase to $ 700 m by the end of 2016. Internal consolidation has enabled the ADB to expand funds available for developing countries including Sri Lanka, Zhang said, estimating that just for 2017 and 2019 loan disbursements could reach $ 2 billion. The ADB- and China-backed Asian Infrastructure Investment Bank (AIIB) also co-found projects with the first to be rolled out in Pakistan. The ADB is also providing technical advisory services for the East Container Terminal of the Colombo Port and is considering assisting an economic corridor linking Colombo to Trincomalee mooted by the Government.